The reserve near my childhood home. Once in a while, I visit the place where I grew up. I spent my early years in an inner suburb of Sydney: a place, mostly, of tar and cement. Though in fairness, there were a number of parks and reserves where I use to play. The footpaths, however, were all of the soulless variety, without a blade of grass, and those gardens that were in existence were quite small. Luckily, one of these reserves was just a stone’s throw away from our house. 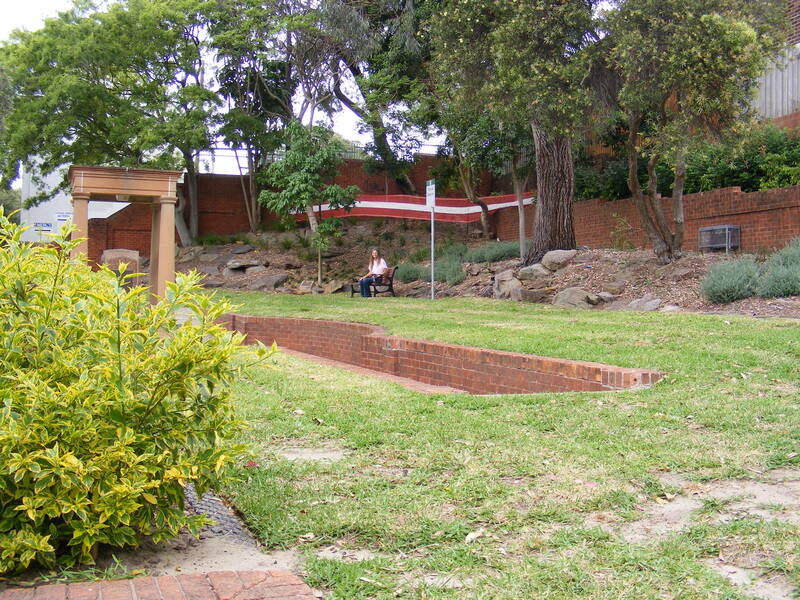 Here’s a photo of me, taken a few years ago, sitting on a bench in this little area. Although it’s fairly common for me to see a pair of these lovely ducks, a larger number is quite an event. 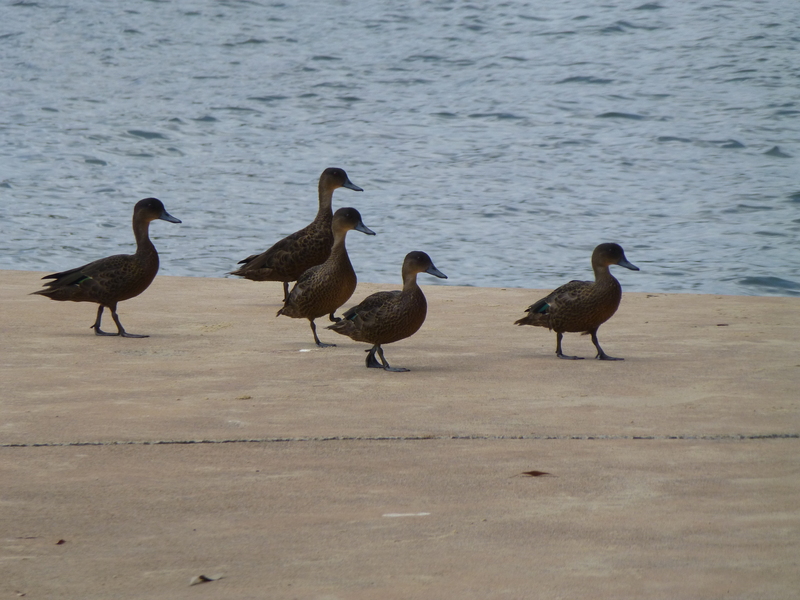 There are several types of ducks that inhabit the local river and its surrounds. The Pacific Black Ducks can be distinguished by the large size and iridescent wing feathers. 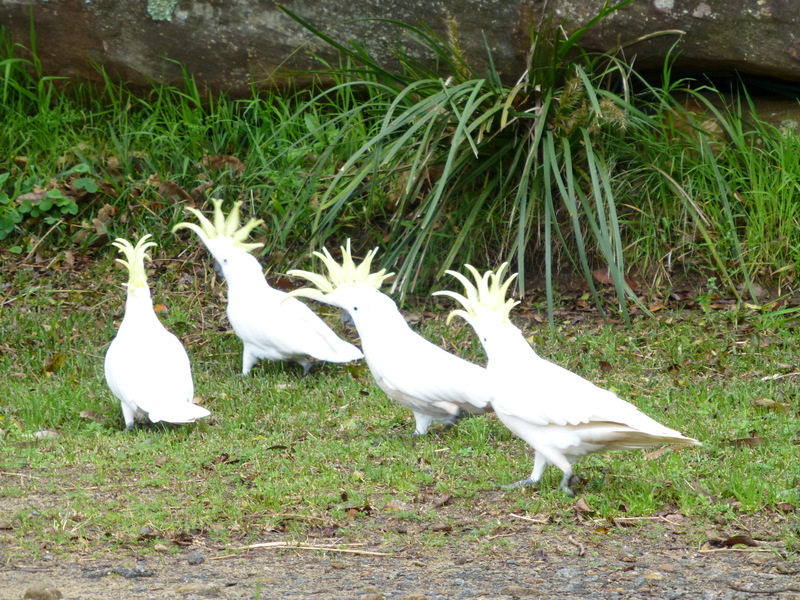 I saw a pair of these stunningly-beautiful birds this morning. Even at a distance, the male’s wonderful colours shone out. The male of the species is much brighter in colour than its mate. 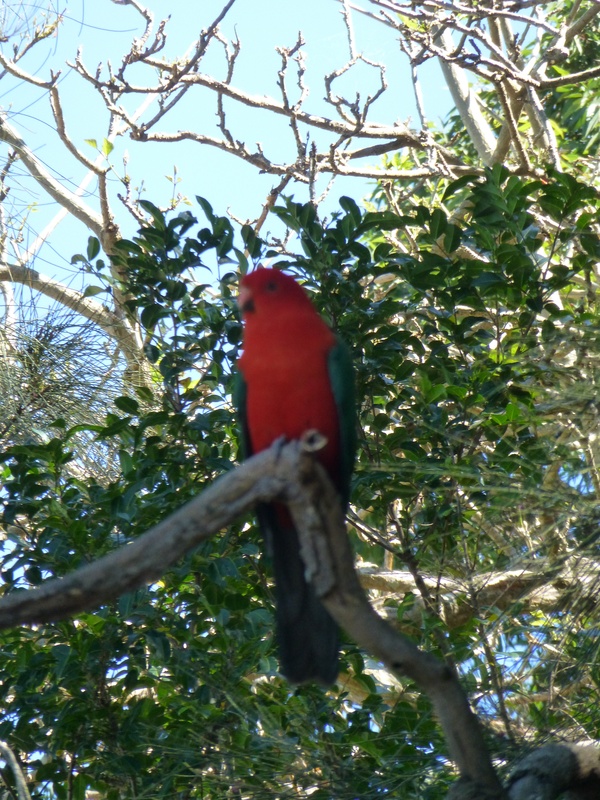 The male’s bright red feathers are a joy to see. The female, though, is still a lovely bird. Her subtle greens and red must surely help her camouflage. The Spring flush of these flowers is just ending in our backyard, but fortunately I captured this image in time. 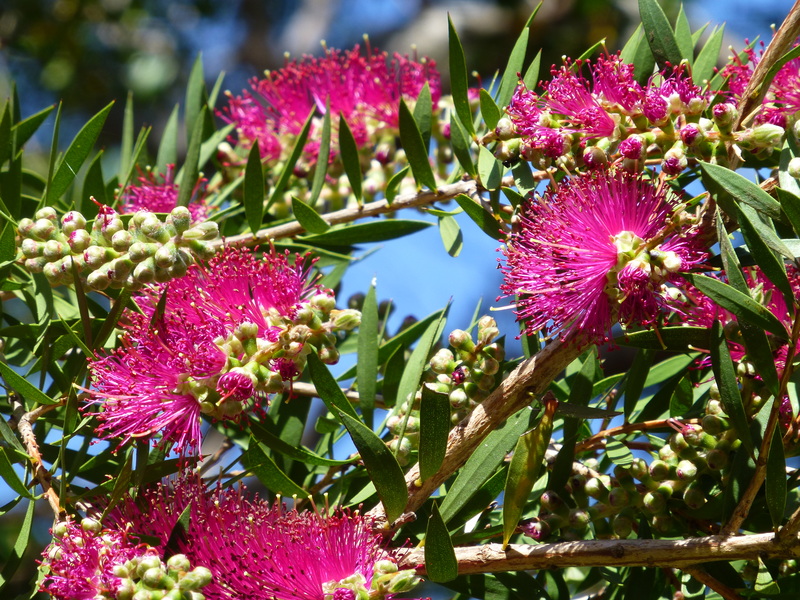 Bottlebrushes are a great addition to Sydney backyards. Not only do they produce beautifully-coloured and formed flowers, they also attract the birds. What a combination! 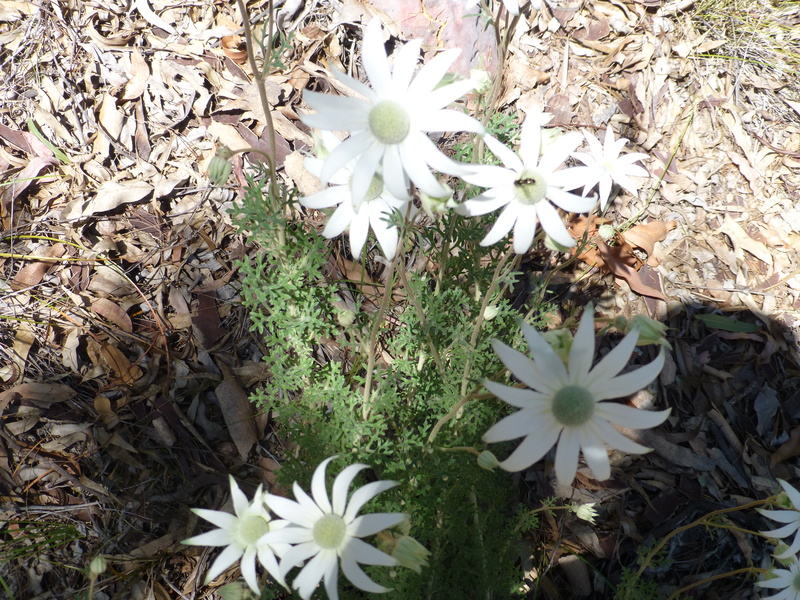 Right now, the Flannel Flowers are out in all their glory, and I see them every day in the local bushland park. A popular spot for them is beside the narrow roadway. There they can be enjoyed by those traveling through (at the twenty kilometre speed limit).